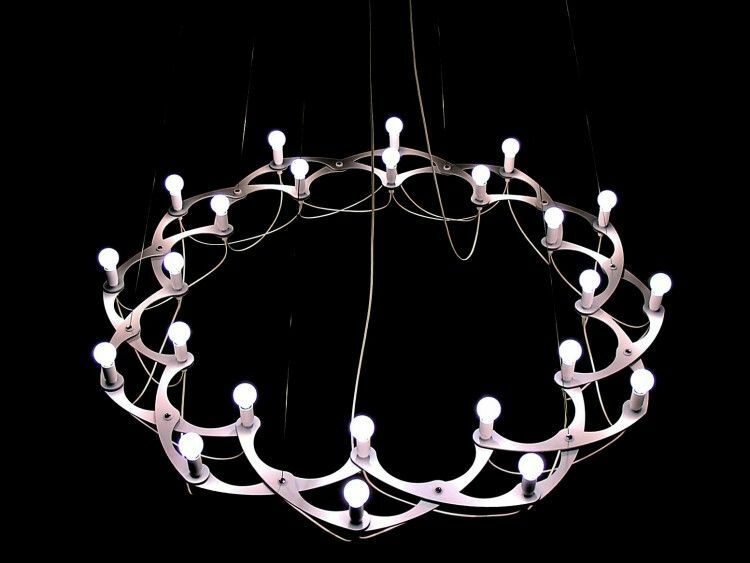 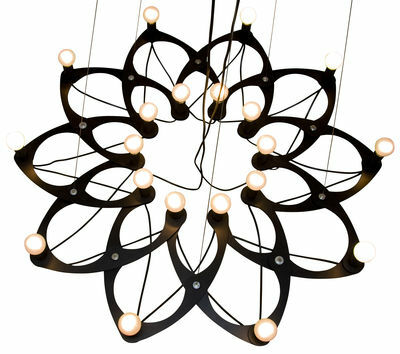 Ornametrica Pendant - Modular by Bloom! 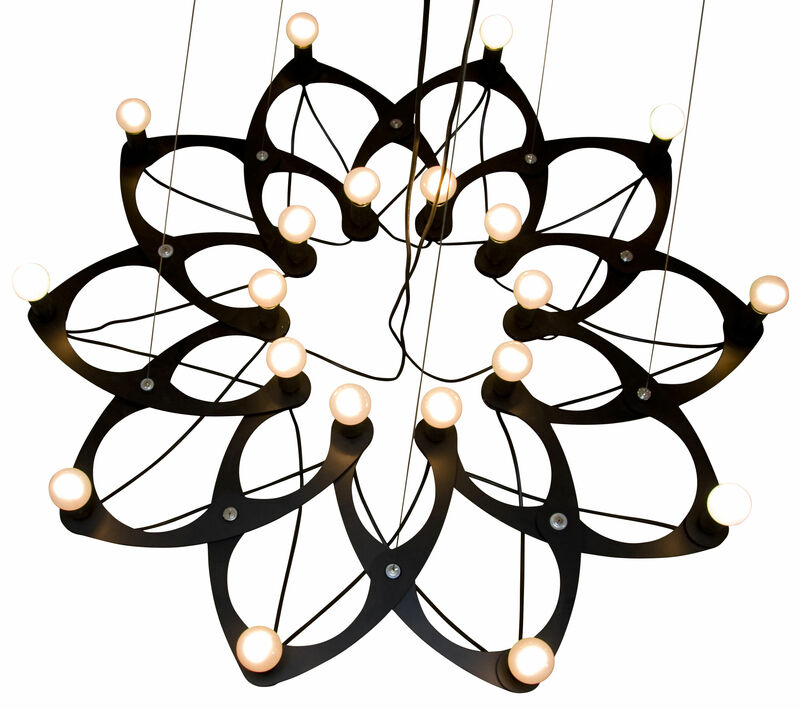 Ornametrica Pendant - Modular - Bloom! 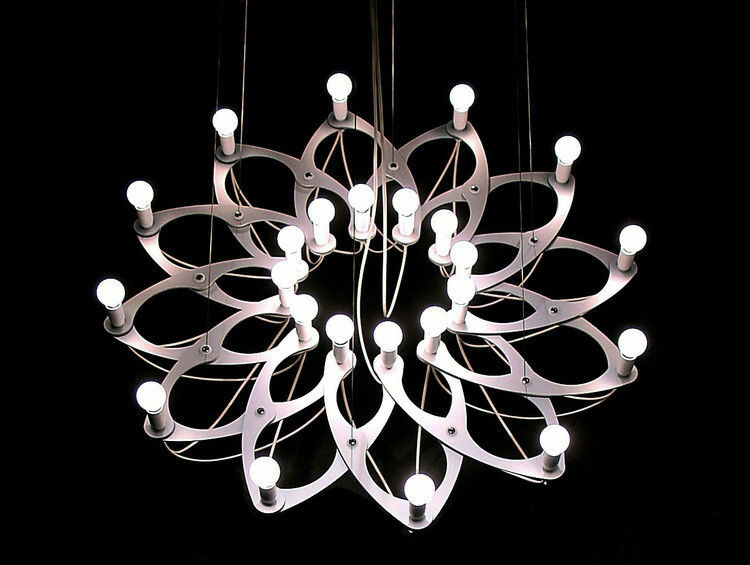 Dimensions : Folded: Ø 84 cm max / Unfolded: Ø 118 cm max - Electrical wire: 200 cm max. 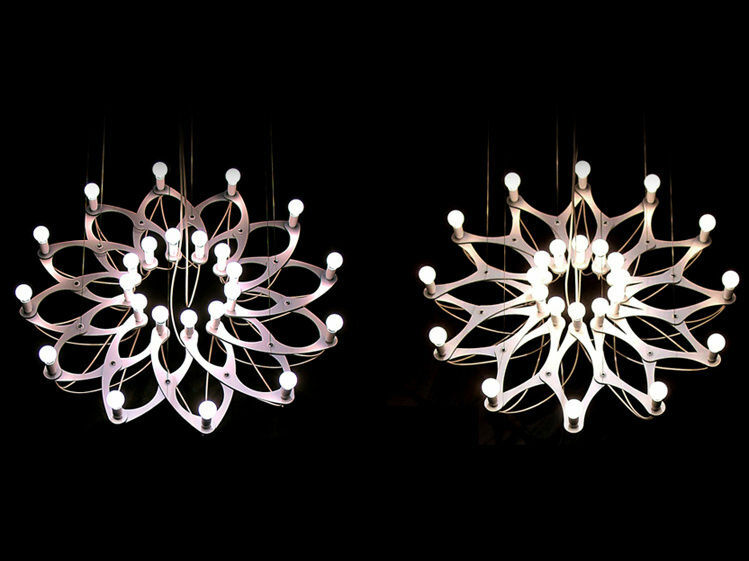 Ornametrica is a modular pendant – you can change its form and size as you like! 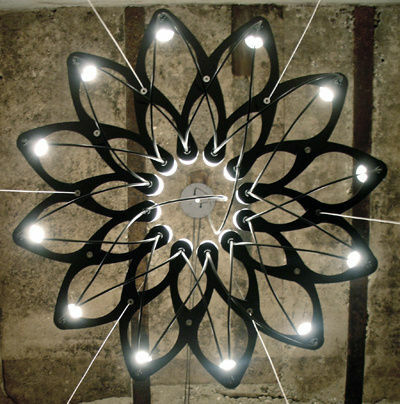 The black lacquered aluminium structure consists of several rosettes and 20 light sources (not included). 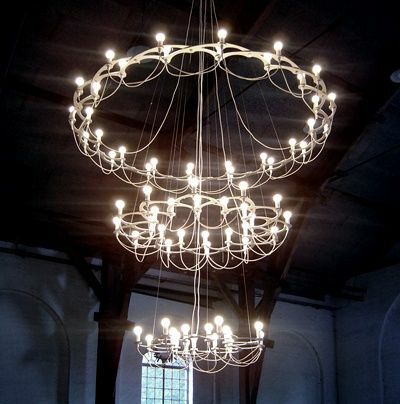 This stunning pendant looks like old candelabra! 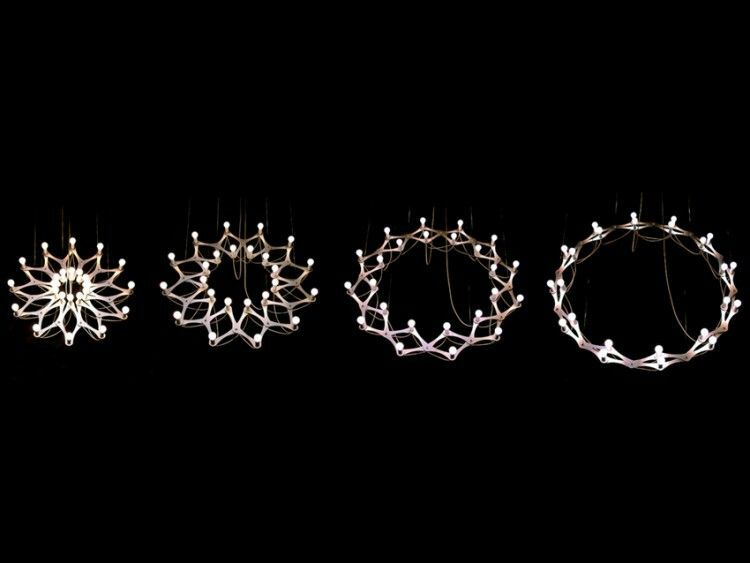 The structure is completely articulated – you can fold and unfold it in no time at all (unfolded max. 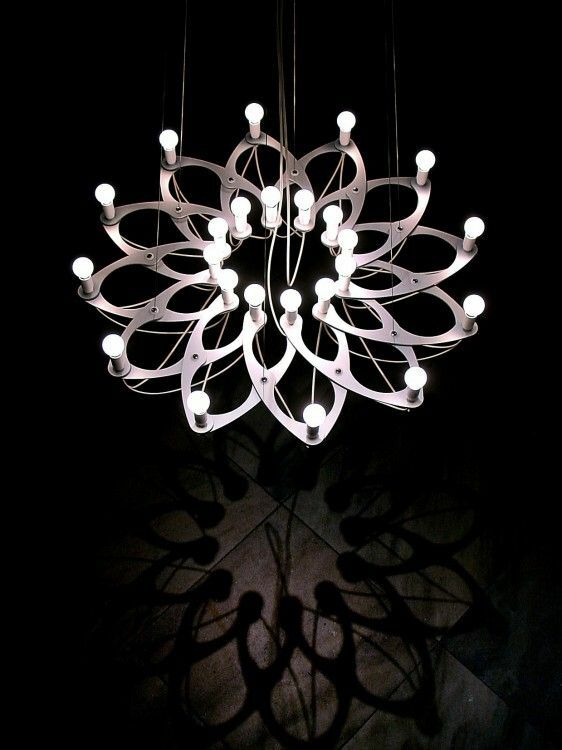 ø 115 cm / folded max. 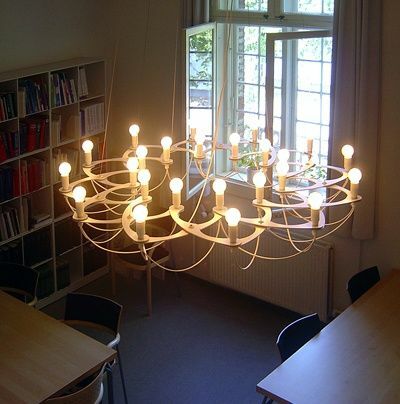 ø 84 cm)! 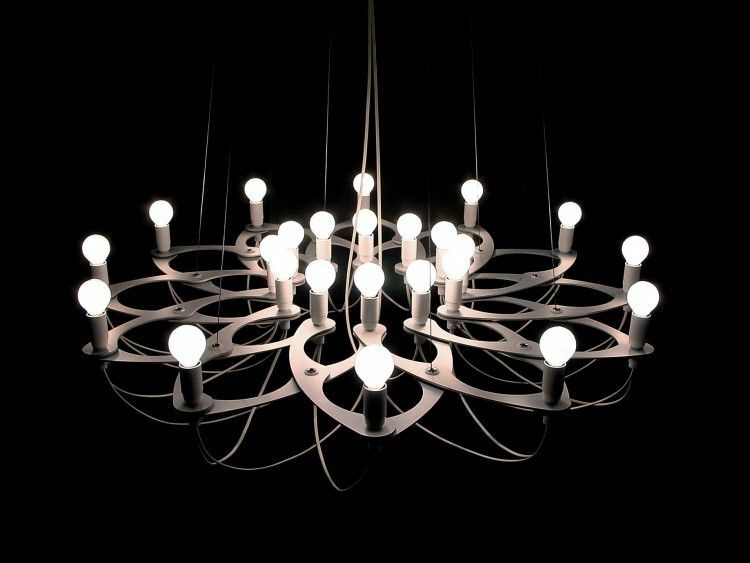 Each configuration creates a new pattern, offering the greatest number of different possible variations. 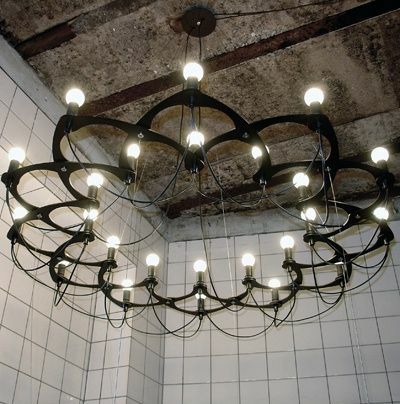 The geometric motif throws beautiful shadow patterns on surrounding walls.